Since its inception, the mission of the Society has been to fund scholarships to promising theatre students at top drama departments in the Chicagoland Area. Members also have the opportunity to take advantage of VIP seats for theatre performances featuring theatre parties at Chicago’s finest restaurants. The Sarah Siddons Society 2018 Actor of the Year Gala honoring BETTY BUCKLEY! It with great sadness that we announce the passing of Susan Glick, longtime Board member and Officer of the Sarah Siddons Society. 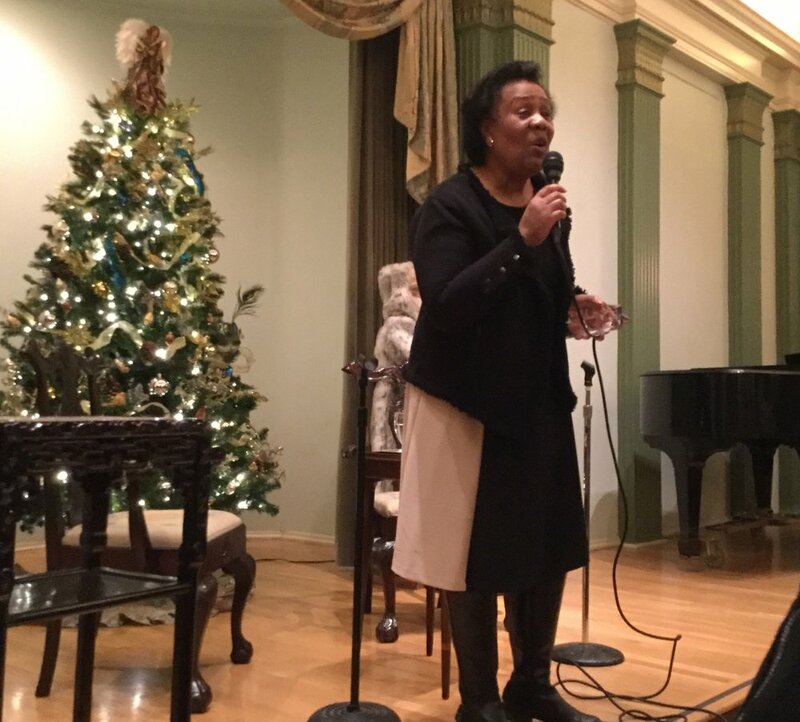 Thank you to everyone that came on on December 3 for tea honoring Jackie Taylor, Founder and CEO, the Black Ensemble Theater Company as our Leading Lady Award recipient. 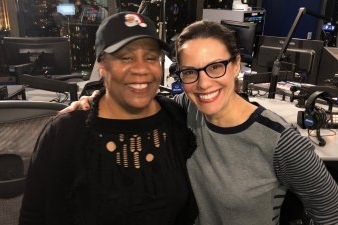 Tonight on the show, Andrea welcomes Jackie Taylor The Black Ensemble Theater Founder / CEO who has recently earned the Sarah Siddons Society 2018 Leading Lady Award. Would the Joseph Mankiewicz mid-century film All About Eve continue to be considered “iconic” today without Chicago’s Sarah Siddons Award? Jackie Taylor, Founder & CEO of the Black Ensemble Theater will be the recipient of the Sarah Siddons Society 2018 Leading Lady Award. SSS Vice President Marc Kaufman, Sam Lips, SSS President Marty Balogh, Chris Vo and Aléna Watters hang with the cast of the Cher Show at Petterino's before the show. THANK YOU TO EVERYONE THAT MADE THE 2017 ACTOR OF THE YEAR GALA A HUGE SUCCESS! 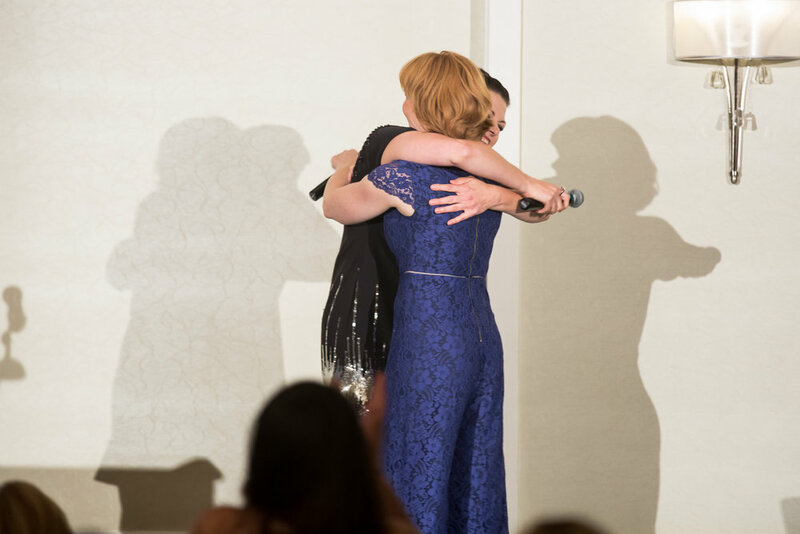 CONGRATULATIONS TO KATE BALDWIN + KATE SHINDLE ON YOUR AWARDS! THANK YOU TO EVERYONE THAT JOINED US FOR THE All-Day Ten Chimneys Bus Tour + Sarah Siddons Society Photography Exhibit ON MAY 26TH! Special thank you to the Schuyler Sisters - Eliza (Ari Asfar), Peggy (Samantha Marie Ware) & Kaitlin Fine (Associate Company Manager of HAMILTON) for joining us at the Sarah Siddons Annual Meeting on December 15th at the Union League of Chicago. The 2016 Sarah Siddons Award was presented on May 16 to Broadway stars Brian D’Arcy James and Sutton Foster. Due to illness, Ms. Foster was unable to attend the awards ceremony. The Sarah Siddons Awards has been given annually to an outstanding actor and has included major stars from theatre and film. Past recipients have included Helen Hayes, Bette Davis, Lauren Bacall, Carol Channing, Jessica Tandy, Liza Minelli, Bernadette Peters and Julie Andrews. More recently the award has been given to Barbara Cook, Audra McDonald, Bebe Neuwirth and Jessie Mueller. The awards ceremony included performances by two former Sarah Siddons Scholarship winners, composer-lyricist Michael Mahler and Christine Mild. Mr. James was the 1989 Scholarship winner while an undergrad at Northwestern. In addition, five of Northwestern’s Music Theatre students sang musical highlights from Mr.